Stephen Graner defeated a record field of 1,107 players in the 2014 PokerStars.com European Poker Tour Season 11 Prague Main Event. Graner held a commanding lead coming in to the final day and he never looked back. This was the first time Graner had played an EPT event, and he has more than doubled his lifetime earnings from live tournaments, which stood previously at $676,642. The action resumed at 12 p.m. local time at the Hilton Hotel in Prague with seven players remaining and it took under five hours of play to reach a winner. Two players would be eliminated in the first level of the day, with the first of those being Remi Castaignon in seventh place for €129,390. Castaignon was first to act and moved all in with the . Anton Bertilsson looked him up with the , and a final board of sent the French player to the rail, ending any hope of a second two-time EPT winner. Out in sixth place was Bjorn Wiesler who shoved over a raise from Graner. It was a race between the of Graner and the of Wiesler, and with the cards falling it was Wiesler who would lose that race to take home €172,340. At the first break, Graner had extended his chip lead to 16,600,000 which was nearly double that of Bertilsson in second place, who then held 8,485,000. The second level of the day would see three more bust outs. 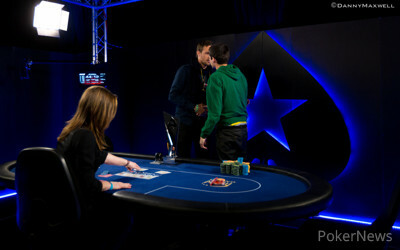 First, Simon Mattson fell next on Hand #36 in fifth place for €235,700 when he lost a flip with the against Graner’s . 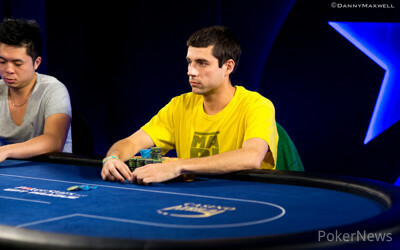 Then, Hand #45 saw Fabio Sperling run his into the of Bertilsson and he fell in fourth place for €308,180. Jonathan Wong laddered up impressively and soon got some new life by shoving with the and getting called by the of Bertilsson. The flop smashed him on a final board of , but then just three hands later he was out. Wong shoved with the ,and wouldn’t you know it, Graner had the and knocked yet another opponent out as the cards fell . Wong was gone in third place for €410,190. It was then heads up between Graner with 28,970,000 and Bertilsson with just 4,310,000. As if the massive chip advantage for Graner was any suggestion, the battle would last just under an hour. Bertilsson managed to double up fairly quickly with ace-ten versus Graner’s pocket sevens, but he gave most of it back on the very next hand. Graner had one hand on the trophy at the start of the day, and he would finally seize it with both hands when he moved all in from the button holding the . A frustrated-looking Bertilsson made the call with the and must have been happy to see he had the two over cards. 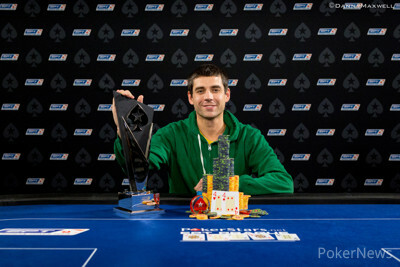 The final board of sealed the deal for Graner and he became an EPT champion in his first attempt. He also became a big, bad €969,000 richer. Graner dominated the final table from start to finish. He may have picked up good hands in the right spots, but he also used his big stack to great effect to bully the short stacks and pick up pot after pot uncontested. He picked off a river bluff from Wong at one point and also got maximum value holding a better straight against Sperling. Graner also won a huge pot from Bertilsson when he rivered a better two pair and made a pot-sized raise that got paid off to win a 13,000,000-chip pot. Stephen Graner shoved from the button and Anton Bertilsson took a short while to make up his mind. He gripped a handful of chips and clacked them together. Graner had dominated the heads-up battle so far and Bertilsson made the decision to make the call for his tournament life. 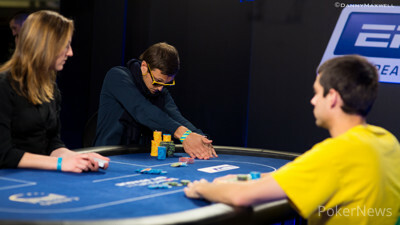 The cards ran out and Graner held to bust Bertilsson in second place. This is the story of Martin Jacobson, the man who won $10,000,000 in the world's biggest annual poker tournament. In the first part Jacobson talks about discovering poker, learning the game and his first big results before bursting onto the scene with multiple EPT final tables. The 2014 World Series of Poker Main Event champion hails from Sweden. 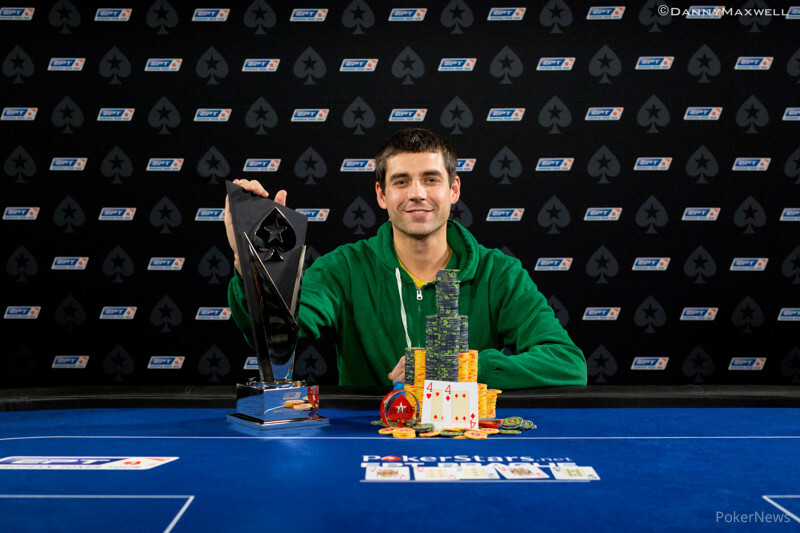 After four top-four finishes in European Poker Tour Main Events, Jacobson finally did what he set out to do after becoming a professional: winning a monumental poker tournament. Hand #76: Anton Bertilsson raised to 320,000 with and Stephen Graner called with , heading to the flop of . Bertilsson tried to win the pot with a continuation bet of 320,000 and folded to the check-raise all in of Graner. Hand #77: It was Graner's turn to raise and he simply moved all in with , enforcing a fold from Bertilsson. Hand #78: Bertilsson found and won the hand with a raise to 320,000. Hand #79: Graner limped with and then folded to the shove of Bertilsson with . Hand #80: Graner received a walk, as Bertilsson mucked . 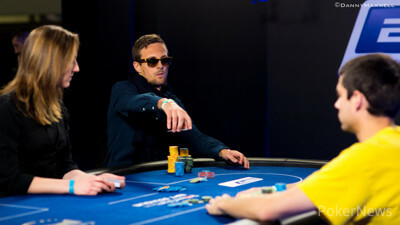 Hand #72: Bertilsson on the button with made it 320,000. Graner mucked and that was two in a row for Bertilsson. Hand #73: Graner with on the button made it 350,000 and Bertilsson with called. The flop was and it was checked ti the turn . Bertilsson led out for 350,000 and Graner called. The river card was the and Bertilsson checked. Graner bet 855,000 with the best hand and Bertilsson mucked. Hand #74: Bertilsson held and made it 320,000. Graner defended with . A flop of [jd qc 4d saw Graner check-call a bet of 320,000 from Bertilsson. The turn card was the and both players checked. The river was checked too and they chopped it up. Hand #75: Graner made it 250,000 with and Bertilsson with moved all in. Graner mucked. Hand #66: Anton Bertilsson raised to 320,000 with and Stephen Graner defended with . The dealer burned and turned the flop of and Graner led for 385,000, Bertilsson made the call. The on the turn provided another barrel of the American for 600,000 and Bertilsson called again. With the as final community card, Graner grabbed green T-100,000 chips from his stack and fired an expensive final barrel worth 1,760,000. Bertilsson wasn't thrilled but made the call to see the bad news, dropping back to where he started the heads-up match with. Hand #67: Graner raised to 350,000 with and Bertilsson three-bet to 875,000 with to win the pot without showdown. Hand #68: Bertilsson made it 320,000 to go with and Graner called with to see the flop of . Graner checked and Bertilsson made a continuation bet of 320,000, quickly folding to the check-raise of 815,000 by the American. Hand #69: Graner raised it up to 350,000 with and Bertilsson defended with , heading to the flop. Both players checked and Graner then bet the turn for 225,000 to enlarge his lead. Hand #70: Bertilsson raised to and Graner slid forward a three-bet of 810,000, enforcing a fold from the Swede. Hand #64: Anton Bertilsson opened and Graner with in the big blind made it 810,000. Bertilsson folded. Hand #65: Graner had and opened for 350,000 and Bertilsson with in the big blind three-bet to 875,000. Graner moved all in and Bertilsson called. The cards ran out . It could have been all over right there but Bertilsson got the double up he craved. Hand #60: Anton Bertilsson raised to 250,000 with and was called by Stephen Graner with . On the flop, Bertilsson spiked two pair and bet 250,000. Graner check-called the and the turn triggered another check-call for 525,000 by Graner. On the river, the American check-folded and the first pot of heads-up play went to Bertilsson. Hand #61: Graner raised to 250,000 with and Bertilsson called with to see the flop of . The Swede called a continuation bet of 225,000 and the turn was checked through. On a river, both players checked and the king-high of Bertilsson made it two for two. Hand #62: Bertilsson raised to 250,000 with and Graner three-bet to 650,000 with , Bertilsson called. The flop gave the Swede an open-ended straight draw and he faced a 740,000-bet of Graner. Bertilsson called and the paired the board. Graner moved all in and Bertilsson mucked his cards. Who will Win the 2014 EPT Prague Main Event?